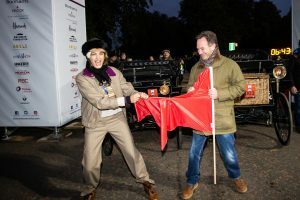 As an unseasonably mild London was still covered by darkness, nearly 400 pioneering veteran cars, their intrepid drivers and plucky passengers gathered in Hyde Park on Sunday (4thNovember) waiting for daybreak to signal the start of the remarkable Bonhams London to Brighton Veteran Car Run supported by Hiscox. 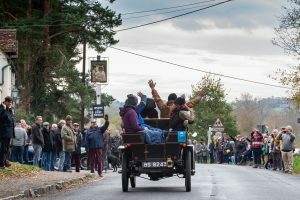 In total, 117 different marques ranging from Achilles (built in Frome, Somerset) to Yale (from Toledo in Ohio, US) were represented on this year’s Run – some, like Chevrolet, Renault and Mercedes, still well-known today, but the vast majority lost to history. 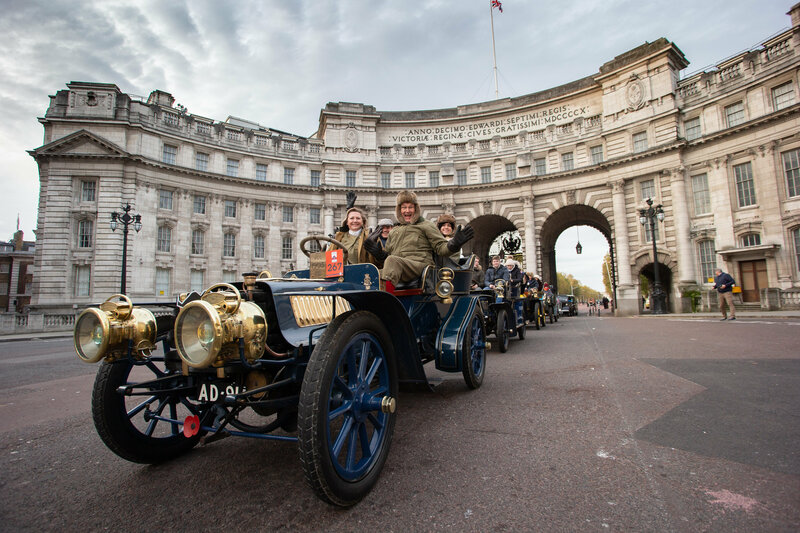 Many cars and crews sported moustaches in support of Movember, the event’s official Charity Partner. 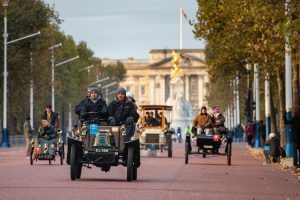 Ben Cussons, Chairman of the Royal Automobile Club, said: “It has been another exceptional Run in this quite remarkable event. The split route out of London definitely alleviated the traffic problems of the past, and it has been a real pleasure to complete the Run today.